Head down to Brooklyn’s waterfront Red Hook area for the Total Red Hook Immersion series sponsored by Brooklyn Brewery and an amazing resource for all things Brooklyn, Brooklyn Based. 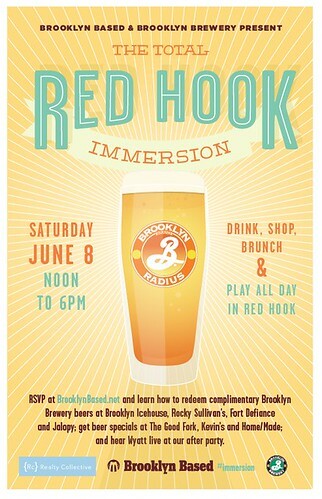 Our fourth annual immersion series with Brooklyn Brewery begins this year on June 8, and we’re kicking it off with one of last year’s Immersion spots: Red Hook. We’re returning because the neighborhood still needs our support, post-Sandy, and because Red Hook is awesome! It’s basically built for an all-day adventure, and the complimentary Brooklyn brews on June 8 will just make it sweeter. To take part in this neighborhood-wide celebration, you’ll need to score one of our 500 FREE Immersion cards, a golden ticket that will get you complimentary brews at Brooklyn Ice House, Rocky Sullivan’s, Fort Defiance and Jalopy Tavern; complimentary Local 1, Local 2, or Sorachi Ace over brunches at The Good Fork, Kevin’s and Home/Made, plus 15% off at local shops like Foxy & Winston and Brooklyn Slate Company, $2 off lobster rolls from Red Hook Lobster Pound and more sweet deals. A full map of participants to date is here. Find out more details: here. Then stay for the next installment of David Trimble’s cycling classic: The Red Hook Criterium, Saturday June 8th. The secret is out on the Red Hook Criterium. The once underground (and still unsanctioned) bike race held after hours in Red Hook every March now regularly draws top cyclists from around the world, as well as crowds that number in the thousands. 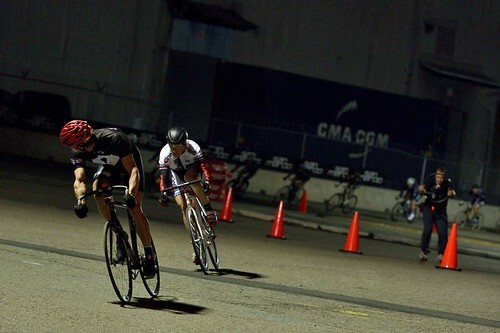 It’s like Brooklyn’s own Indie 500 but with bikes, and this year it’s expanding to become an international, four-part championship racing series, with cyclists set to compete in the second round this Saturday, June 8 at the Brooklyn Navy Yard. By design, a crit is very different than a traditional road race. It’s held on a short course–each lap of the RHC is 1.25 km or 0.78 miles–and typically run on closed-off city streets. 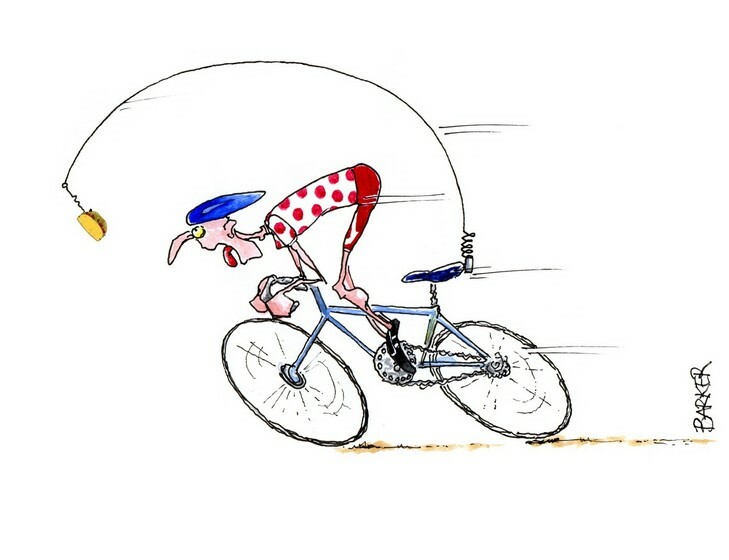 Unsanctioned races allow cyclists to compete without obtaining racing licenses and without organizers getting the official thumbs up from any governing bodies–giving renegade races like the RHC badass street cred in the cycling world. Unlike larger, better-known bike races à la the Tour de France, which begins June 29, the Red Hook Crit doesn’t leave all the racing up to the professionals–it purposefully levels the playing field for the 200 participating riders by welcoming anyone with a helmet and a track bike to register–so expect bike messengers, fixed-gear fanatics and bike shop workers, as well as bartenders, artists and anyone else interested in squeezing into some spandex and tackling the 26-lap course totaling 20.2 miles. Better weather, an earlier start time and a more accessible location have the potential to make this second Brooklyn race an even bigger draw than the original, and as an added bonus for spectators, grandstand tickets are on sale for prime seats at the Navy Yard overlooking the start/finish line. Tickets are $40, and the profits will be awarded to the top 25 finishers as a cash prize. Admission is free otherwise. Partnering with the Navy Yard has allowed Trimble to turn the late-night race an all-day event, which starts at noon when BLDG92 opens to the public, with a bike tour of the Navy Yard taking place at 3pm (buy advanced tickets here), as well as a 5k running race at 9pm, before the big show starts at 9:45pm. Time’s Up will be leading a peace parade bike ride to the festival on Sunday June 9th. More details on their calendar events page, here. The ride we’ve all been waiting for is back…4th Annual Tour del Taco! This is our fourth year combining a love of cycling with a love of tacos! This ride starts @11am at Grand Army Plaza, travels south in Brooklyn, north up through Queens and ends in Brooklyn. This year’s ride is donation based and supports The Youth Farm at HSPS an organization that offers farm training and leadership opportunites for Brooklyn’s youth (and is near and dear to our heart). This an all day event that will be going live on Twitter so if you can’t make it in the morning, you can join us along the way! Here’s a sampling of destinations subject to change. Check back for final details and official order. Come hungry and we’ll see you soon!